Well, Happies, here’s the good news. There’s nothing to really learn as such, or be good at, and when it comes to stopping your thoughts, unless you’re as enlightened as the Dalai Lama, you’re not expected to. You just need to let them keep flowing and not get stuck on any one thought, rather than look into blankness altogether. Often people say they can’t sit still because their mind is on other things, they’re worried about work or their to do list. First things first, schedule in your meditation time so you can relax about the other stuff and know you have allocated this particular time to yourself. Once you make that a priority and literally make space in your life for meditation, you can train your brain to be present with you, rather than wandering off all the time. The brilliance of meditation is that you don’t have to sit there for 40 minutes in your first session to see results. In fact, if you try to do that you’re going to get restless and over it really quickly. Think of meditation as muscle training: you wouldn’t expect to look like Arnie in one weights session at the gym, so why expect the same with your meditation? Instead, start off with a 3 minute meditation, then 5 minute, then 10 minute and so on, building up the strength in your concentration over a realistic time frame. Sometimes it’s the simplest things that make the biggest difference, and with meditation, it’s often something as mundane as your posture that makes or breaks your practice. So, choose either a lying or comfortable sitting position. I like to lie when I’m practicing yoga nidra or meditating at night, and sit any other time. I love my meditation pillow but a chair works just as well. If you’re lying down, position your feet so they’re apart and your palms face up. Make sure everything is aligned. If you’re sitting, sit up straight, pull your chin slightly in and make sure your shoulders are in line with your hips and your legs are comfortable. Once you’re comfortable, it’s time to get started. I like listening to guided meditations (see below) as they help you focus on the practice. I highly recommend these for beginners or monkey minds. Alternatively you can listen to music or enjoy the silence of your surrounds. Just make sure your eyes are closed and you are meditating in a calm, quiet environment to start with. Once you get stronger, you can meditate anywhere (on the bus, in the car, around your family) but for now, just light a candle or find a quiet place in nature, sit serenely and close your eyes. 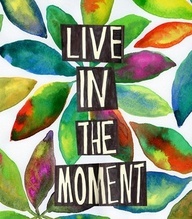 While some meditations use a mantra, I find that just focusing on your breath is the easiest way to concentrate. Think about how your breath enters and exits your nose, pay attention to your breathing, is it shallow? Deep? Stressed? Tired? Start tuning into your body but always remain focused on your breath. If thoughts come up, just let them go. If another one pops up, let it go too. The key is to just keep letting your thoughts pass like a running river and focus on your breath. Let me put my beauty editor cap on for today’s Wellness Ritual, Happies, and treat you all to a bit of insider knowledge: Jojoba Oil (the pure, good stuff) is an amazing remedy for scalp irritation and dryness. This sudden change of season might see your scalp getting slightly more dry than it was in the hotter months, or perhaps, like me, your hormones are causing shifts in the way your body reacts to its environment. Either way, this simple scalp massage will not only rebalance your scalp, but your mind as well. It’s pure bliss. Enjoy! What do you think of scalp massage? Keen to give it a go? With all the fancy wild, red and black rice options these days, it’s hard to remember why we love the humble brown rice so much. Not to mention the movement towards skipping grains altogether in favour of living like our long lost caveman ancestors. So, today I thought I’d pay homage to this tasty little grain and remind you, you and you what makes brown rice such a simple, standout option. Unlike its processed friend, white rice, BR still has its bran layers intact, meaning that all the goodness hasn’t been stripped away. What goodness you ask? Well, brown rice contains the highest amount of B vitamins of all his grainy mates, as well as iron, vitamin E, amino acids, and linoleic acid. It’s also high in fibre, low is sodium and made up of 80% complex carbs – a good thing if you want to remain nice and full hours after eating your favourite brown rice dish. So what does all this mean for you? I thought you’d never ask. Brown rice promotes ace digestion; it’s good for your guts, Happies. It also, rather remarkably, quenches your thirst AND, in case you needed more, it balances blood sugar and controls mood swings (great if you suffer PMS). When looking for options, go for organic brown rice if possible or a high quality option that doesn’t have any (or many) nasty little green grains. Store it in a glass container that’s airtight and cook when needed, remembering the basic ratio of 1 cup of brown rice to 2 cups of water or stock. Looking for some recipe inspiration? Try my Mexican Brown Rice with Egg and Avo; Fried Brown Rice with ‘Shrooms, Greens and Tofu; my scrumptious Brown Rice and Tofu Patties; or for something fast my 15 minute Brown Rice Sushi Rolls with Asian Salad. YUM!!! Do you like brown rice? 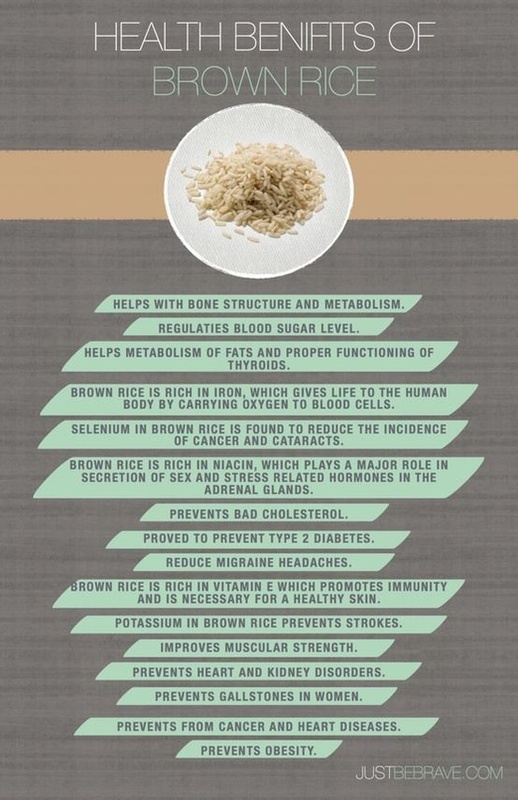 What’s your favourite brown rice recipe?